Discussion in 'The Beauty Cupboard' started by Fiancee, Oct 14, 2009. I hope this isn't too weird a thread and some of you might have opinions or suggestions on the topic. I am like most people these days, always watching closely to see where I might be getting wrinkles and fine lines and doing what I can to keep my skin healthy. I've found that the places where I have most signs of ageing are the areas under my eyes that get smushed up when I sleep on my pillow at night. I wear sunblock and take good care of myself in general but I really can't help the way I sleep- unless there are particular pillows I could try, or even a silk pillow case as one friend suggested. Do you have any thoughts on it? Thanks! Who would have thought sleep could actually make us look older!? Aww! Yes there are particular pillows, mattresses and bedsheets that generally help you sleep better and correct your posture, but I don't think they can dictate the way you sleep. 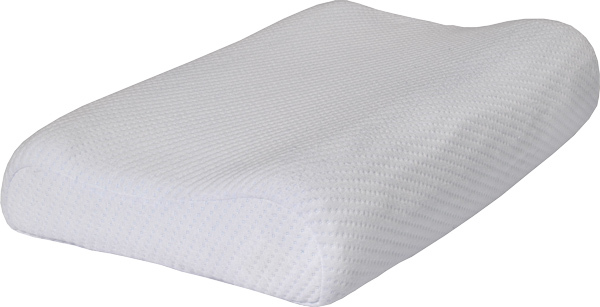 They just feel a lot better to sleep on when your face isn't all smushed up in the pillow My mattress is very firm... along with my pillows- they're shaped in this certain way which is supposed to help your back posture... It's hard to explain. But unlike the typical pillow, this one doesn't get flatter when you lie on it, so you just don't feel the need to flip your head. It also feels uncomfortable to lie in weird positions on a firmer mattress, so you'd naturally sleep with your body straight too. In fact, the part I hate most about traveling now is the hotels... The beds are too soft and the pillows always sink! Thanks for the advice! I used to sleep on a really firm mattress- anyone who slept over complained it was just too hard, but I quite liked it. Now I have a softer one, but I am tempted to invest in that pillow, see if it helps me! I heard about the silk thing too. Not only for less wrinkling effect also because it feels cooler against your skin - more of a refreshing feel. INSOMNIA Great thread, I'm doing it now. Well aside from insomniacs, they say on average humans spend around a third of their lives asleep- which in that case helps explain HOW sleep would impact our face, depending on the positions we sleep in and so on. I always roll over onto my tummy and smush my face up against the pillow so when I wake one or both of my cheeks and under-eye areas have a pink mark and the line stays there about two hours after I have gotten up!! It doesnt look so bad now because I'm in my twenties but it's only gonna get worse! Come to think of it my neck feels a little bit tweaked right now..I think from laying a certain way.